As the Doncaster St Leger Festival is less than one week away I thought this was the perfect opportunity to introduce you to my favourite shop in Doncaster. 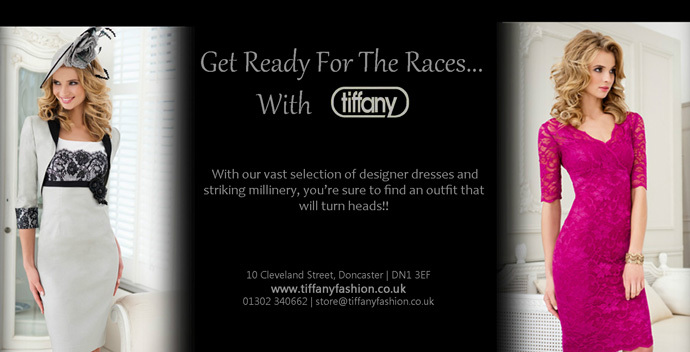 Tiffany Fashion Doncaster hosts over 50 international collections in its portfolio and is a family run business. I have been visiting Tiffany's for the last ten years and have never been disappointed with the vast selection of garments that they have to offer. From outfits fit for the races and mother of the bride ensambles to luxurious coats, jumpers and evening gowns, they really do have it all. My personal favourite has to be this beautiful Marc Cain dress below, which fits exquisitely and has only just arrived in store so you can guarantee you will not see anyone else at the Leger wearing it. If you are looking for a last minute outfit then make sure you visit Tiffanys. I caught up with Sarah from Tiffany to see how the Leger was affecting their sales. Has the Leger made an impact on your sales? Yes! It always gets manic in the run up to the Leger. Certainly the last few weeks have been really busy and all our customers are sorted this year. 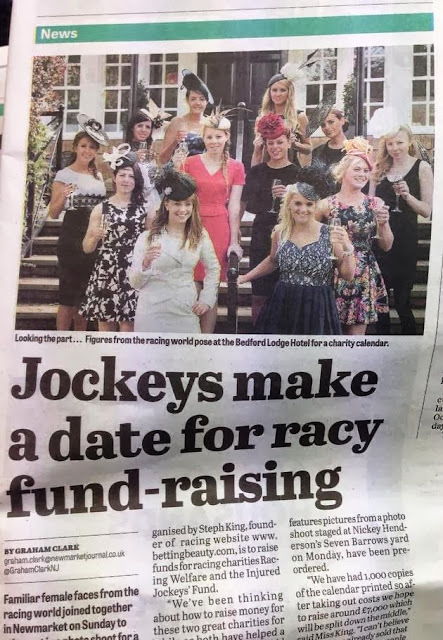 Normally we're busy until the last minute - I'm always surprised, that on the actual morning of the races, ladies come in and buy a whole new outfit because they don't feel right in one they've bought elsewhere! 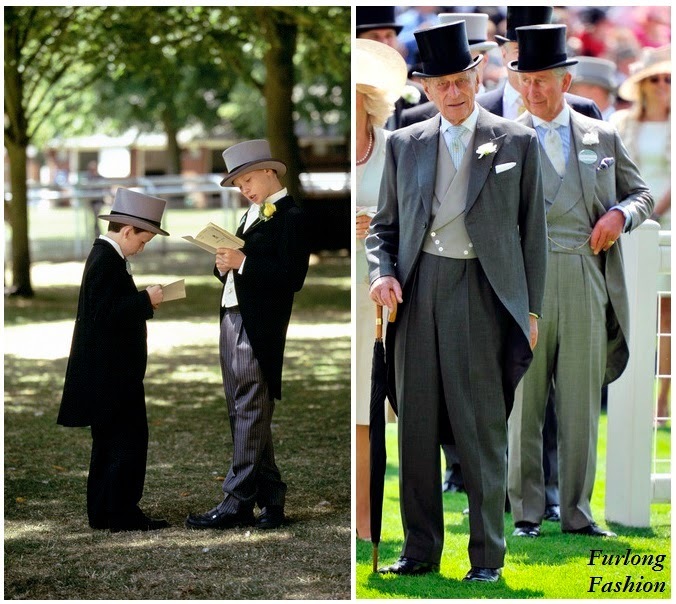 What age range does your shop cater for? It's difficult to say because we carry over 50 different brands and each, in their own right, caters for a different customer over a wide age range. Many of our regular clients will come in and shop with their daughters, so our key customers are probably late-twenties and up! Do current fashion trends have a big influence on the clothing that has been sold in the lead up to the Leger? Certainly! Key colours for the season, sophisticated cuts and under stated sleeved dresses (undoubtedly down to Kate Middleton's style) and lace trends have all had an influence, but in Doncaster, we do like to dress up too and turn a few heads! What designers do you stock? Which designers have been most popular in the lead up to the Leger? In particular, Bernshaw and Marc Cain. 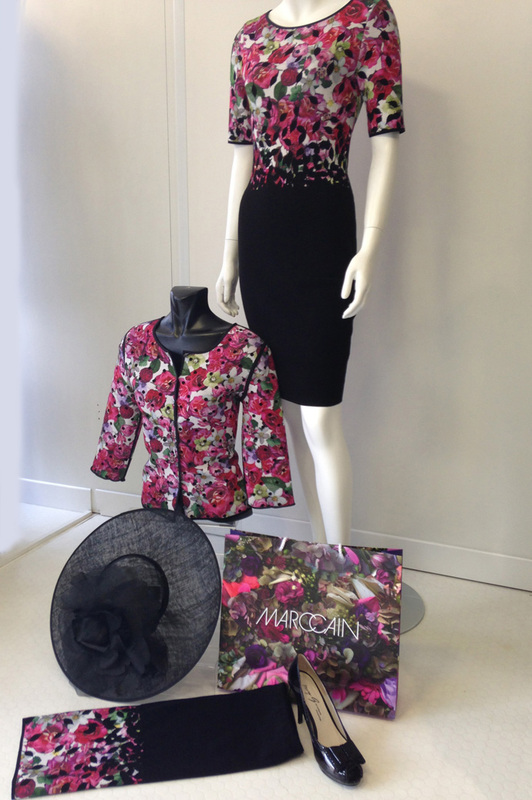 Bernshaw dresses always sell well for the races and Marc Cain (one of my personal favourites) is consistently popular with our customers - their gorgeous quality fabrics, exclusive prints and sophisticated shapes make a winning combination! Do you think the majority of your customers will wear a hat? Yes, we have sold hats or fascinators with virtually every outfit! We specialise in millinery - Nigel Rayment being one of our favourite designers - and often customers will fall in love with the hat first and then find an outfit to match! This season, customers have favoured the saucer - half way between a hat and a fascinator and very easy to wear. Have your customers been purchasing a whole new outfit ie dress shoes bag? Yes, when our customers come in, they like to buy the whole outfit from us. We specialise in accessories - hats, shoes, bags and jewellery - so they never have a problem! Which item in your shop would you recommend for the Leger? This Bernshaw dress "Bijoux" is perfect for the races. A banded stretch dress in striking black and ivory, with pretty lace detail, would look great worn with a stunning Nigel Rayment Couture black hat. What are your biggest fashion DONT'S for women attending the races? Don't try too hard! Less is more - keep the outfit simple and go to town on the accessories. Don't wear killer heels and end up hobbling about or even worse, going barefoot! Don't go too short! This season, the trend is just on or below the knee. Will you be attending the Leger? For the first time, after many years of attending, I'm not going. It's always difficult because it's a busy time at Tiffany. However, some of the girls will be going instead! Many Thanks to Sarah from Tiffany.